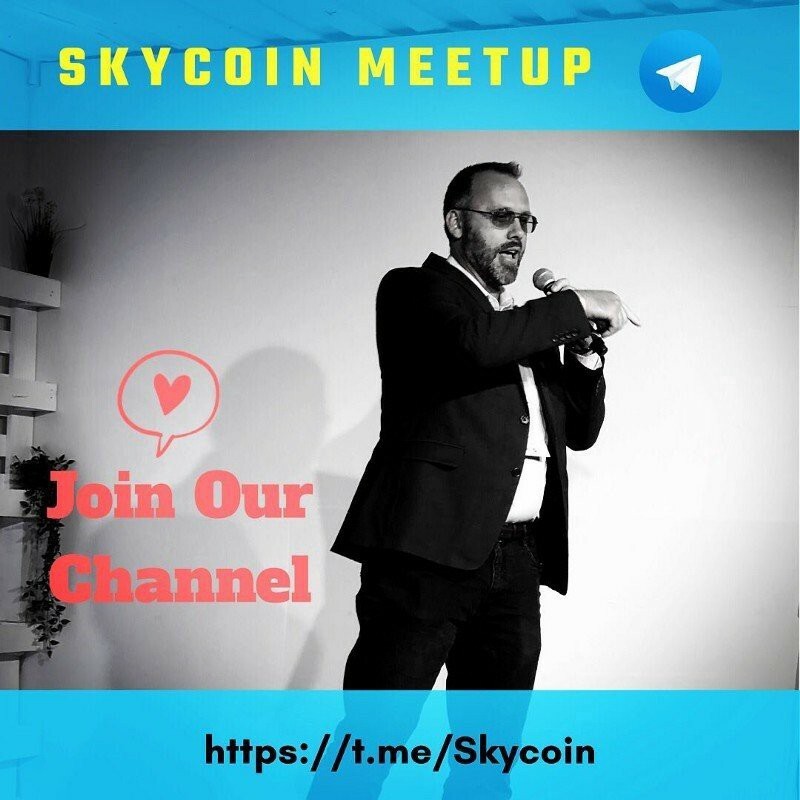 Home/Discovery/Blogs/Is Skycoin the New Bitcoin…? Is Skycoin the New Bitcoin…? Is Skycoin the new Bitcoin…? In August 2008, the domain name bitcoin.org was quietly registered online. Two months later, a paper entitled ‘Bitcoin: A Peer-to-Peer Electronic Cash System’ was passed around a cryptography mailing list. Before Bitcoin, there were cryptocurrencies since the late ’80s, but none survived because none had an economic incentive for peers. Bitcoin gained mass adoption because it was the first cryptocurrency that paid people for providing resources in the network. David Chaum invented the blinding formula, which is an extension of the RSA algorithm still used in the web’s encryption. This enables a person to pass a number across to another person, and that number to be modified by the receiver. When the receiver deposits her coin, as Chaum called it, into the bank, it bears the original signature of the mint, but it is not the same number as that which the mint signed. Chaum’s invention allowed the coin to be modified untraceably without breaking the signature of the mint; hence the mint or bank was ‘blind’ to the transaction. All of this interest and also the Netherlands’ historically feverish attitude toward privacy probably had a lot to do with David Chaum’s decision to migrate to the Netherlands. 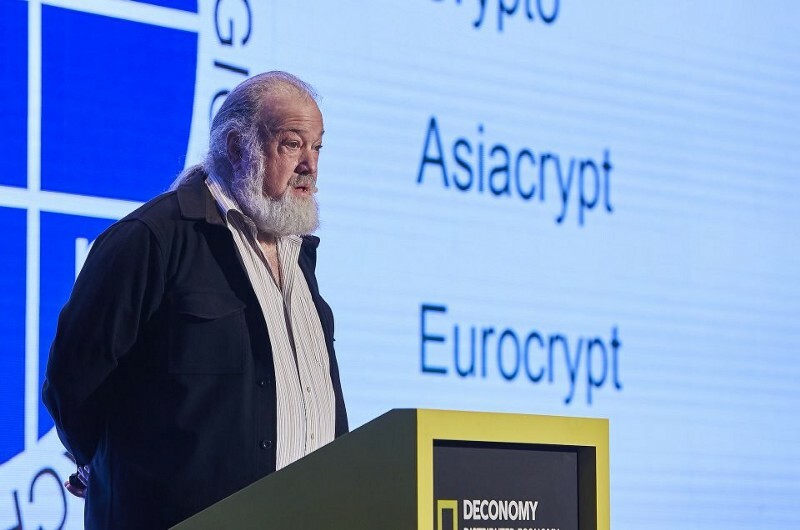 When working in the late 1980s at CWI, a hotbed of cryptography and mathematics research in Amsterdam, he started DigiCash and proceeded to build his Internet money invention, employing amongst many others names that would later become famous: Stefan Brands, Niels Ferguson, Gary Howland, Marcel “BigMac” van der Peijl, Nick Szabo, and Bryce “Zooko” Wilcox-Ahearn. The invention of blinded cash was extraordinary and it caused an unprecedented wave of press attention. Unfortunately, David Chaum and his company made some missteps and fell foul of the central bank (De Nederlandsche Bank or DNB). The private compromise that they agreed to was that Digicash’s e-cash product would only be sold to banks. This accommodation then led the company on a merry dance attempting to field viable digital cash through many banks, ending up eventually in bankruptcy in 1998. The amount of attention in the press brought very exciting deals to the table, with Microsoft, Deutsche Bank, and others, but David Chaum was unable to use them to get to the next level. At one point Microsoft offered Chaum $180 million to put DigiCash on every Windows PC. But Chaum said that it was not enough money, and the deal fell through, and Digicash ran out of money. 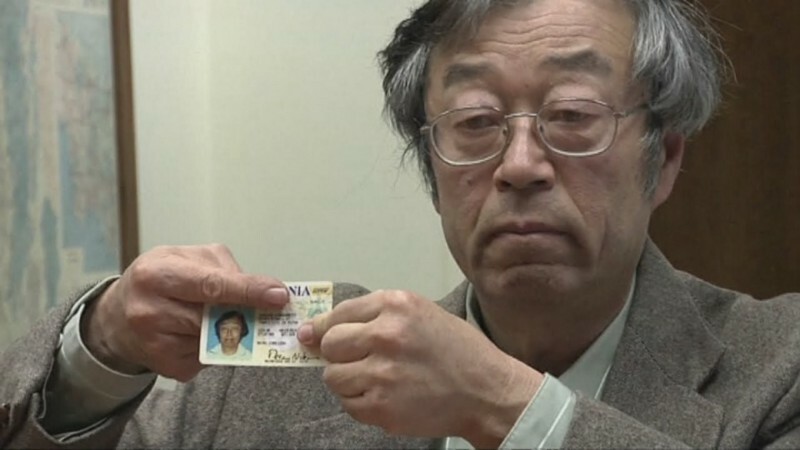 Satoshi envisioned Bitcoin as a decentralized digital currency. Blockchain networks were intended to democratize finance, eliminating corporate control, spreading power among users and didn’t need a third party to mediate conflicts. Satoshi designed Bitcoin to protect wealth from inflation. Bitcoin is an immutable currency, with a finite supply capped at 21 million. By capping the number of Bitcoins that can exist, Satoshi hoped to create digital gold: he wanted to provide a premium investment that could return value over the years. Satoshi’s vision for Bitcoin was to be adopted by everyone with a device and access to the Internet, which will be almost every individual on earth by the end of this century. Fast cheap secure transactions for everyone, regardless of geographic location or state citizenship. It was to usurp the existing financial institutions and regulatory regimes, which would slowly crumble under their own weight as Bitcoin’s ease and efficiency would be overwhelmingly preferred by the entire world. However, Bitcoin and related currencies have become centralized due to their reliance on Proof of Work (PoW) and Proof of Stake (PoS) algorithms, as well as their use of mining to create coins. This centralization defeats the original purpose of digital currencies. This is a major flaw in Bitcoin and most first and second generation cryptocurrencies and it is mainly responsible for all the wild swings and volatility the cryptocurrency market experiences today. Blockchain-based cryptocurrencies have traditionally relied on a process called proof-of-work for transaction validation and new currency creation. Proof-of-work relies on computational problem solving that increases in difficulty along with the value of a cryptocoin, a process known as mining. In Bitcoin, miners could receive new coins through the mechanism of block reward. The newly created coins caused inflation, and control centralized into one or two large mining pools. The effect was a monopoly that destroyed the equalizing potential of Bitcoin. • Very few transactions per second (7 to be precise) and the implication is transactions could take between 40 minutes to 7 days to process. Imagine waiting to pay for a cup of coffee for 7 days. • The transaction fees for bitcoin are also very exorbitant compared to most other cryptocurrencies. • Extremely centralized by 2 mining pools being able to launch a double spend attack with a 90%+ chance of success. In order to attack Bitcoin, it only needs one malicious intern with some skill to take over Bitmain (since Bitmain is already in control of 51% of the hashing power for a short amount of time and launch a double spend attack, be through social engineering, blackmail, coercion, hacking. The only variable protecting Bitcoin right now is a social one. This is zero security in computer security. It is very wasteful mining Bitcoin as it uses so much energy. Concerns over bitcoin’s energy use didn’t diminish after the currency lost much of its value in early 2018, because the cryptocurrency’s previous peak spurred the creation of a host of alternative coins based on the blockchain. Even at the start of November, a paper in Nature claimed that cryptocurrency mining for four popular coins — bitcoin, Ethereum, Litecoin, and Monero — was taking up more energy than real-life mining, for an equivalent market value. 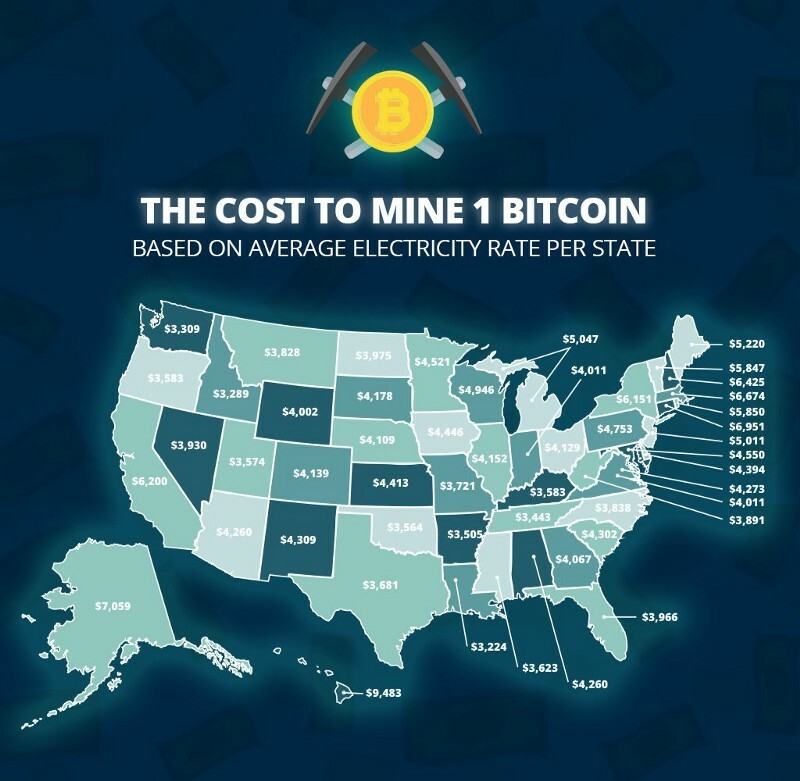 Oak Ridge Institute for Science and Education (ORISE) in Cincinnati, Ohio in a new report estimate that the amount of energy required to “mine” one dollar’s worth of Bitcoin is more than twice the amount required to mine the same value of copper, gold, platinum or rare earth metals. The Researchers estimated the amount of energy required to mine four popular cryptocurrencies — Bitcoin, Ethereum, Litecoin, and Monero — over the period from January 1, 2016, to June 30, 2018. For example, Bitcoin, which is currently the largest existing blockchain, was estimated to consume about 17 megajoules of energy to mine, almost four times the amount of energy per dollar than gold and three times the amount versus platinum. With energy consumption comes related CO2 emissions, which during the study period for these four currencies was estimated at 3–15 million tonnes of CO2, with Bitcoin again being the biggest contributor. The high end of this estimate would equal the annual emissions of about three million passenger cars, according to the EPA’s calculator. This problem is amplified by the fact that a large portion of cryptocurrency mining occurs in China where generating electricity results in higher carbon emissions compared to other countries. To provide some idea of the scale of the Bitcoin network, consider this mind-boggling number from the report estimating the transaction rate. 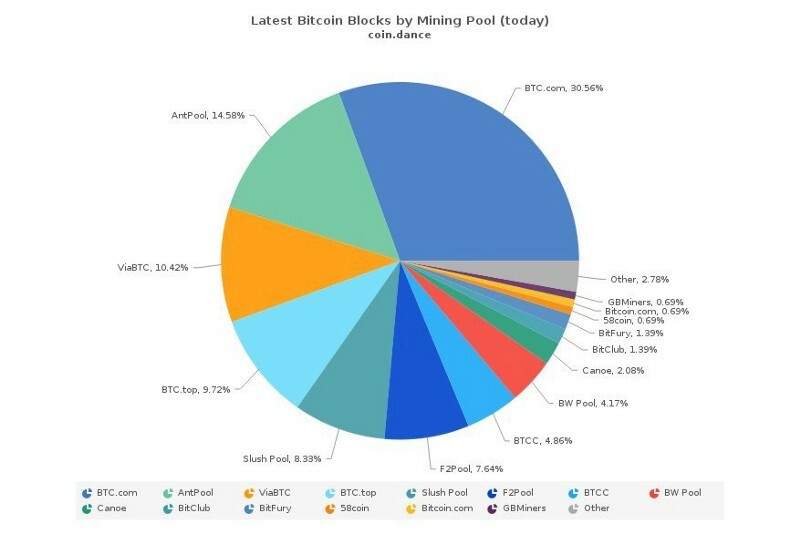 These computer transactions are measured in “hash” functions and referred to as the “hash rate.” As of August 2018, there are approximately 50 quintillions (that’s 50 with 18 zeros after it or 50 million trillion) hashes performed on the Bitcoin network every second of every day. Alex de Vries, a bitcoin specialist at PwC, estimates that the current global power consumption for the servers that run bitcoin’s software is a minimum of 2.55 gigawatts (GW), which amounts to the energy consumption of 22 terawatt-hours (TWh) per year — almost the same as Ireland. Since its launch in 2011, Skycoin has worked quietly for seven years, patiently driving the development of Skycoin. 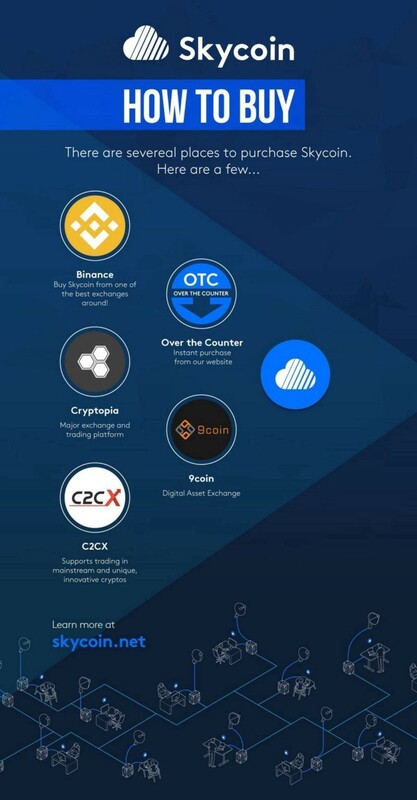 Skycoin did not hurry to go on the major exchanges and market vapourware or whitepapers but intensified every step in the development and improvement of the Skycoin ecosystem. 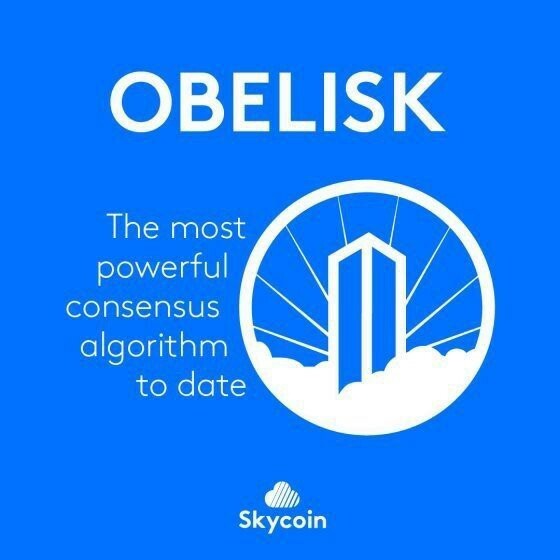 Skycoin’s platform is free from centralization and manipulation through its revolutionary Obelisk consensus algorithm. It features CX, a Turing complete programming language built from the ground up to allow hundreds of thousands of developers to easily deploy applications to the blockchain. Skycoin functions as a currency with virtually free transactions, soon-to-be-implemented absolute privacy, and Visa-like speeds with an inherent asset-backed value not based on speculation. 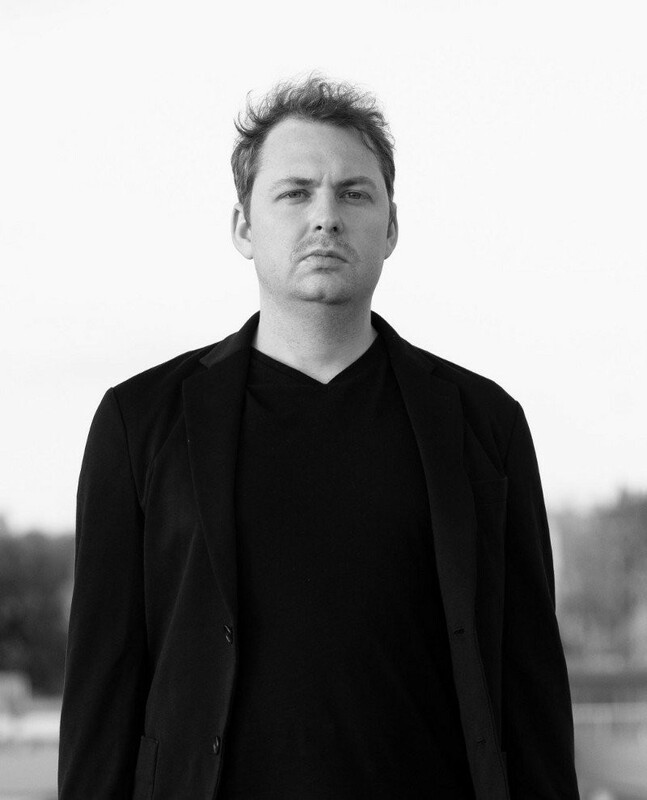 Synth, an early Bitcoin developer and founder of the Skycoin project, quickly realized the issues with mining pools, centralization tendencies, transfer speeds, and more. In order to truly fulfill Satoshi’s vision, Skycoin was born as a 3rd-generation cryptocurrency that eliminates the need for mining pools, provides near instantaneous transfer times, and has a truly decentralized structure. • Elimination of edge-cases that prevent independent node implementations. Skycoin was able to achieve this by creating an entirely new ecosystem from the ground up. 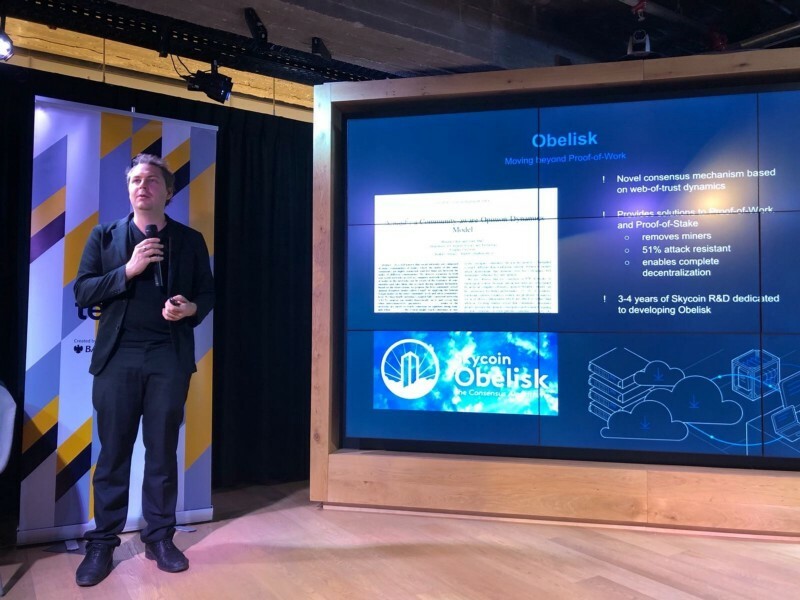 One of Skycoin’s flagship projects was a new consensus algorithm called Obelisk, which removed the need for Proof of Work and Proof of Stake protocols. This new distributed consensus algorithm was developed to be highly secure, highly scalable, and most of all, computational inexpensive. 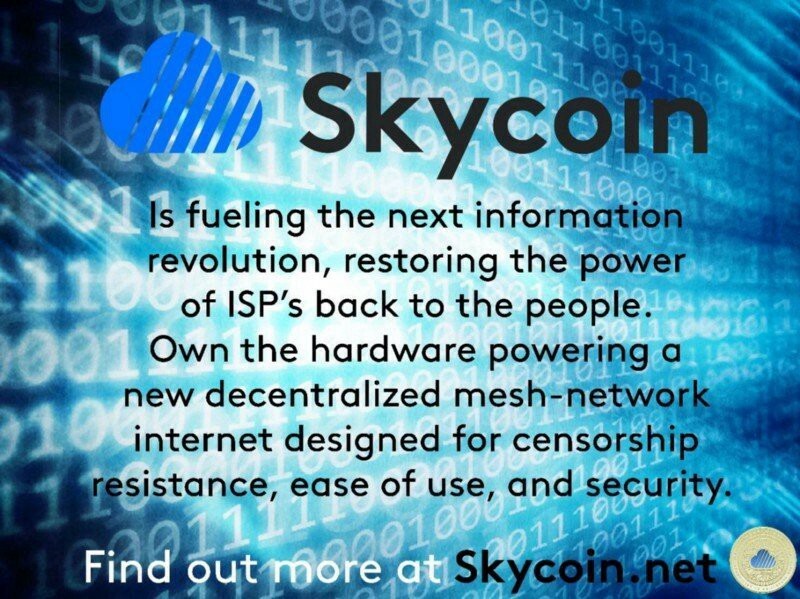 This has allowed Skycoin to become truly decentralized and immune to manipulation, a necessary step in order for mass adoption to occur. Solving the flaws with Bitcoin is just a slice of what Skycoin is working to achieve. They are creating a truly decentralized internet Skywire, their own programming language CX, peer-to-peer cloud storage services and more, none of which Bitcoin offers. Obelisk is a sustainable alternative that aims to replace Proof-of-Work (POW) as a major solution for blockchain consensus. Inspired by academic research into adversarial distributed time-stamping, it offers strong mathematical security guarantees even when the majority of nodes are hostile. Obelisk solves the problems inherent in PoW- and PoS-based coins to bring you a decentralized and democratic consensus network. Obelisk is the key to reinventing blockchain. Its web-of-trust style consensus prevents the development of centralized power. 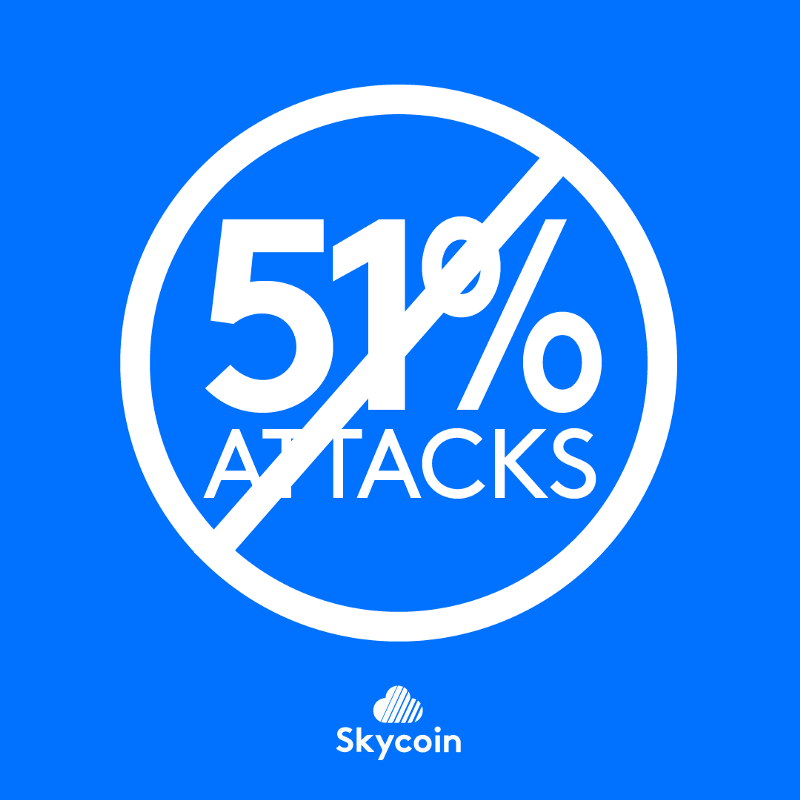 Skycoin requires no mining, so the network is immune to 51% attack. Transactions are significantly faster, occurring in seconds. Decisions are made through community consensus, not based on the wishes of a few majority stakeholders. These features make Skycoin the most secure blockchain option available today. Skycoin is immune to double spending and the 51% attack, regardless of hashing power and/or financial might. Transactions are as fast as they need to be, with as low as two-second confirmations without compromising security. Skycoin transactions have increased privacy as it was also designed as a privacy coin with native support for advanced CoinJoin features. When Skycoin disables address reuse, it will be doubly mathematically impossible to derive any information from the public information in the blockchain. Skycoin’s privacy features are beyond monero or dash. Skycoin’s transaction structure was designed to seamlessly adopt the CoinJoin protocol. Once integrated, Skycoin mixes transactions from multiple wallets to ensure they are indistinguishable from one another. 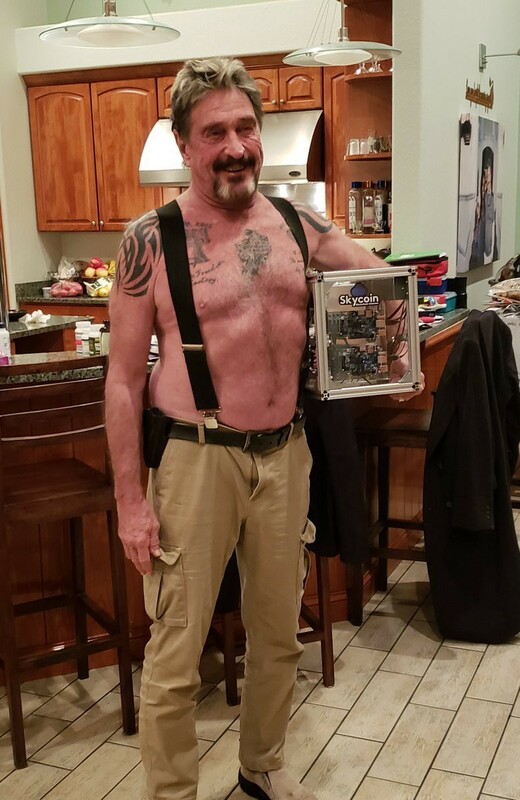 It becomes mathematically impossible for anyone to figure out who has how many Skycoin or where he or she is moving. Satoshi vision not only doesn’t care with whom you transact, but its code also defends to the death your right to transact with anyone. Like Bitcoin, Skycoin is an immutable currency with an issuance capped at 100 million, which will be distributed over 14 years. But unlike Bitcoin, Skycoin features a redesigned consensus mechanism that removes the block reward. This change has profound consequences for users. 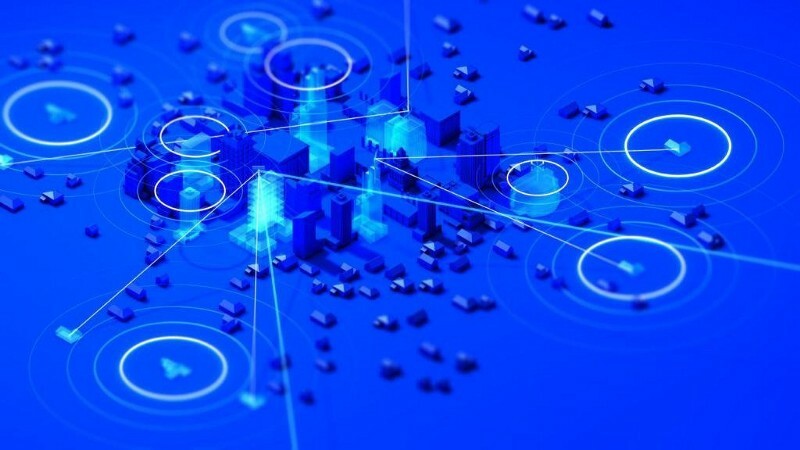 This it has achieved with Obelisk, Skycoin’s unique consensus algorithm, discussed above which is central to the entire Skycoin infrastructure. Web-of-trust consensus changes the way we understand and use blockchain technology. It removes the need for costly mining resources, eliminates the vicious cycle of mining incentives, exponentially improves transaction speeds, and delivers greater security. 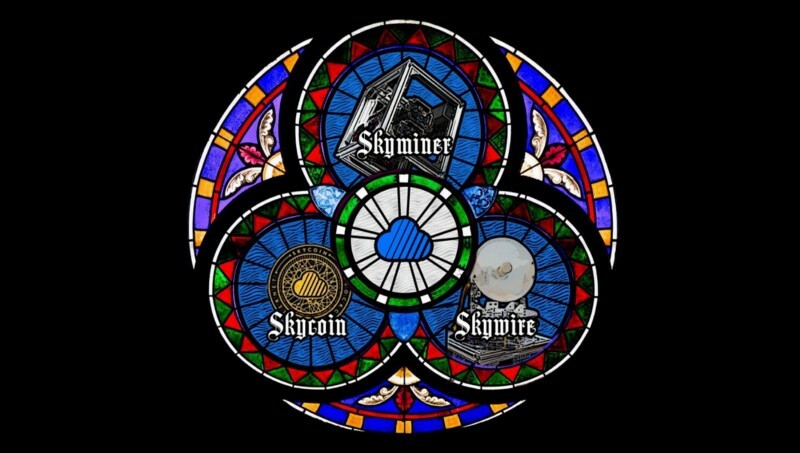 In addition to all these Skycoin is backed by a viable asset Skywire. Skywire is a peer-to-peer alternative network that takes control of the Internet from ISPs and gives it back to the users. 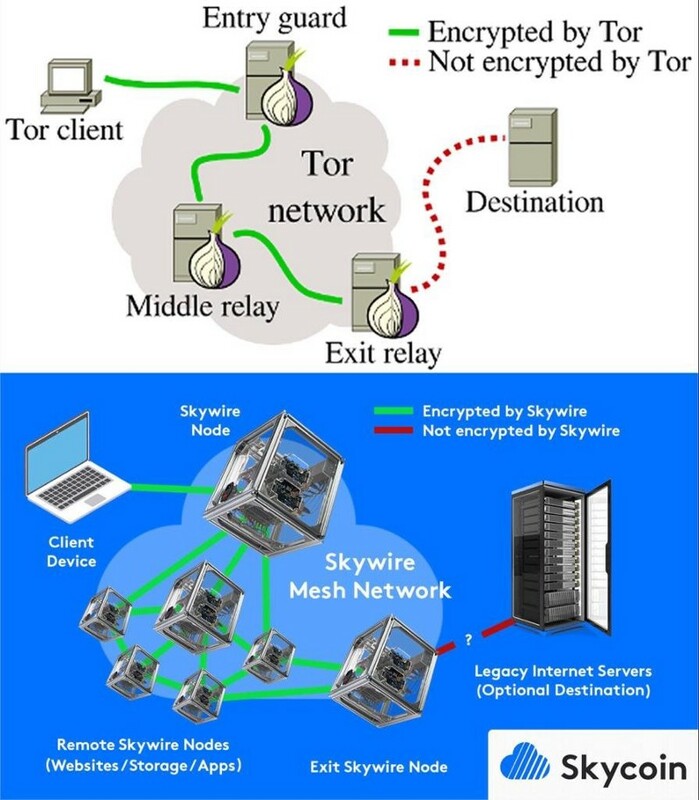 Skywire, at the moment, is the fastest VPN in the world and its the first “meshnet”(actually a software-defined network) that pays people to forward data inside the network If you forward data you are paid if you consume data you pay. Skywire will be free to use for medium latency and low bandwidth downloads, but if you want to stream at 8k you need to pay. There are several components inside it — node manager, node and applications run on meshnet like VPN client, VPN server, socks client, socks server and so on. Skywire will decentralize the Internet by motivating network nodes. In the future, by installing a mesh network antenna, you can get rid of the existing ISP infrastructure. The mesh network is not a new idea, but previously lacked the economic incentive for sustained use. Blockchain technology answers that problem and gives users the motivation to help build a new Internet. The upshot of the mesh network is that there no central point of failure — should one node go down, the many other nodes still stand to support the internet. A decentralized system like Skywire is designed so that every participant can act in their own best self-interest within the system without harming other participants. The corruption, greed, and incompetence that pervade our ancient centralized systems simply don’t have as strong a place in decentralized ones. Skywire also features a novel consensus algorithm that differs significantly in function from both proofs of work and proof of stake systems. 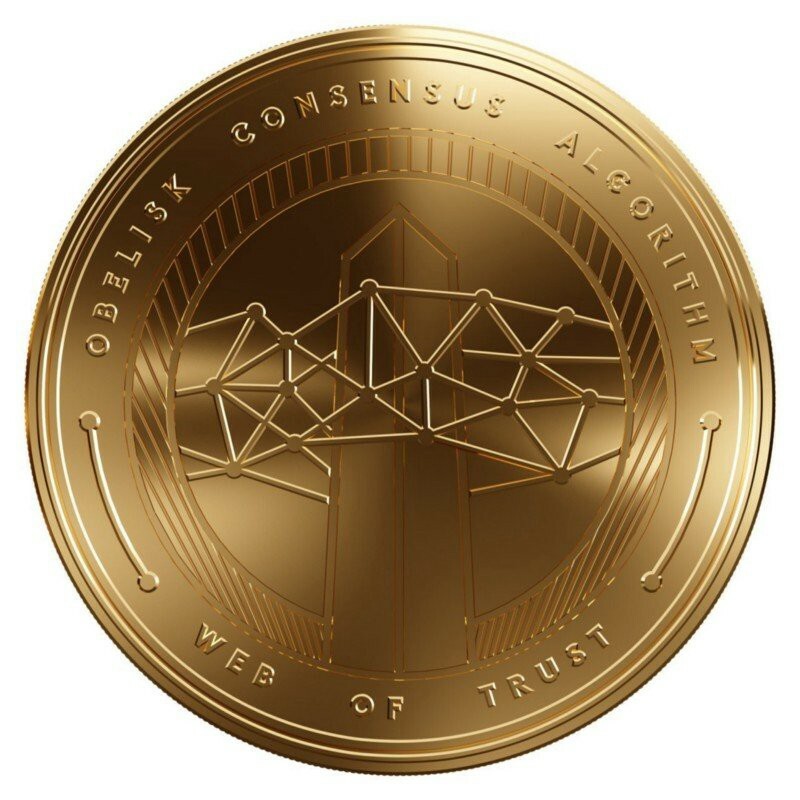 The consensus algorithm, known as Obelisk, severs the connection between coin creation and control over the network. The Obelisk whitepaper posits that any consensus system with a ‘centralizing tendency’, such as proof of stake systems with masternodes or delegate nodes, are unfit for a truly decentralized network because they introduce a central point of failure despite the nodes’ vested interest in the network’s health. The same problem exists for mined coins because mining power can easily be centralized. Obelisk consensus relies on a sparsely connected mesh network, where nodes are connected, or subscribed, only to other trustworthy nodes. 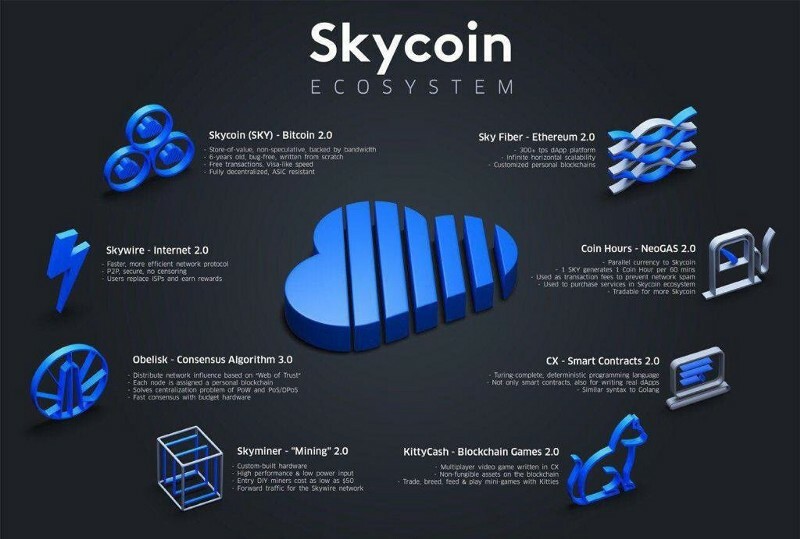 The removal of mining from the consensus system is one of the main differentiators for Skycoin. This is attractive to users because it does not require large amounts of power to run the network. 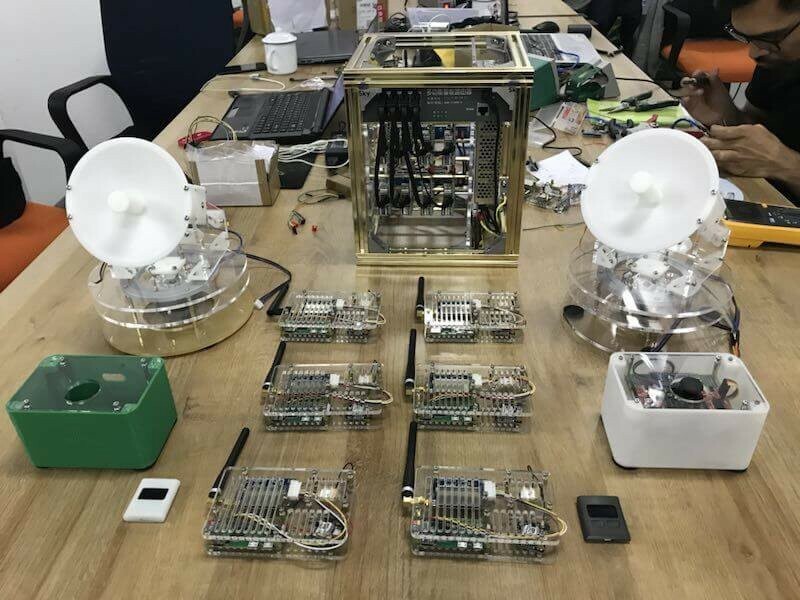 Rather than requiring nodes to solve cryptographic puzzles to verify transactions, the Skycoin team is offering proprietary hardware known as Skyminers to run their network in a more efficient way. Skyminers do not solve hashes, but instead just push data packets around the network. Nodes running Skyminers are compensated with Skyhours, the equivalent of GAS for NEO. Skyhours are the utility currency of the Skywire ecosystem and can be used to purchase bandwidth on the network. I have gone through the historical development of cryptocurrency just to shut people who think nothing will come out of this technology. The whole process of using digital currency has been a slow but steady progress and what is happening is from time to time, projects that have nothing to offer will fail as most have already. As at the time of writing, more than 90 percent of projects in the coinmarketcap. 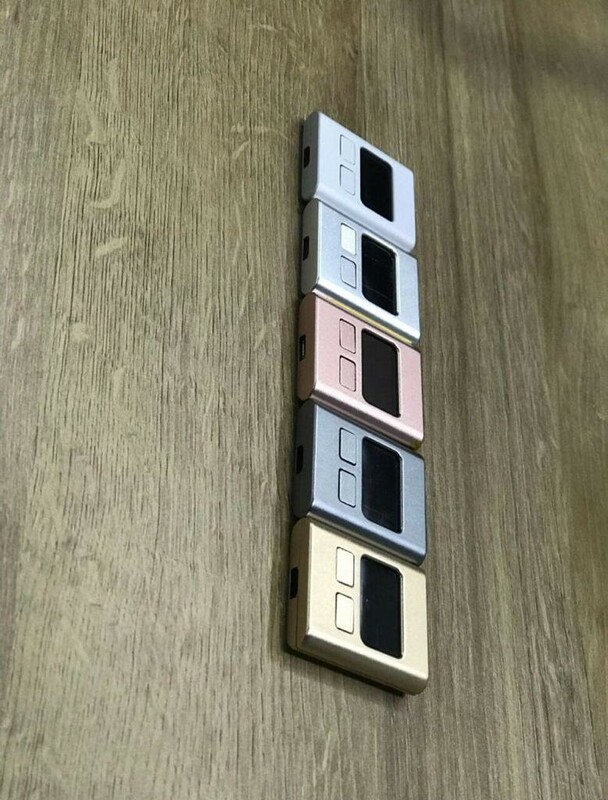 Skycoin is the most advanced cryptocurrency in terms of hardware and software developments. 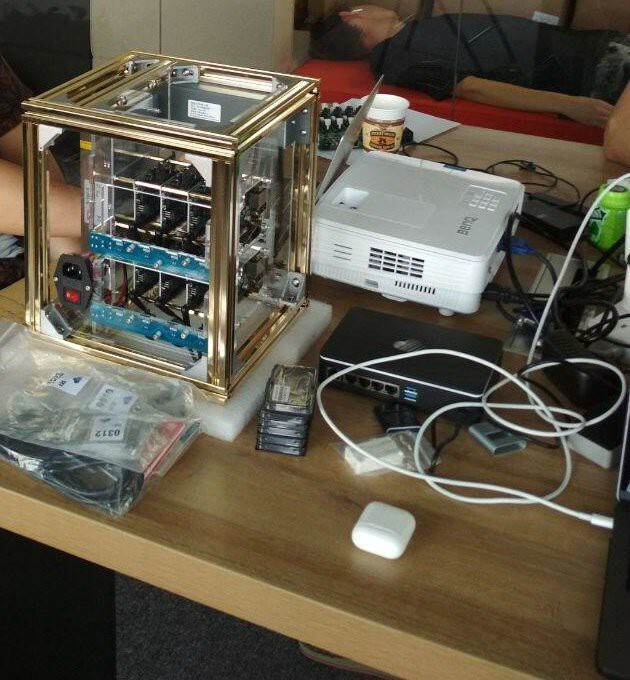 They have rolled out the Skyminer, web, mobile and days away from releasing their hardware wallet with special features. • A blockchain 10 times faster than Ethereum and 50 times faster than Bitcoin. • A new golang based scripting language CX that works and already been deployed in creating games and apps on the blockchain. • Skywire that creates a free decentralized Internet where you get paid for participating instead of allowing big ISPs to monetize your data. • CXO an immutable object storing system designed to overcome the limitations of storing large sets of data on the blockchain. • It has over 9000 Skyminer hardware nodes already deployed globally in less than 4 months. 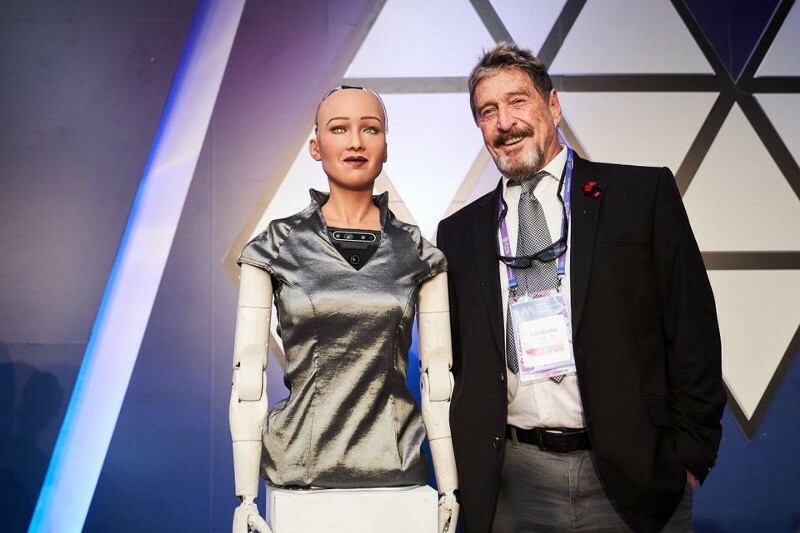 Based on all these development, the most important and influential personality in Cryptocurrency world and US presidential candidate John Mcafee recently partnered and described Skycoin as the most undervalued and most advanced blockchain ecosystem. In his word, he described it as the most comprehensive blockchain platform out there. 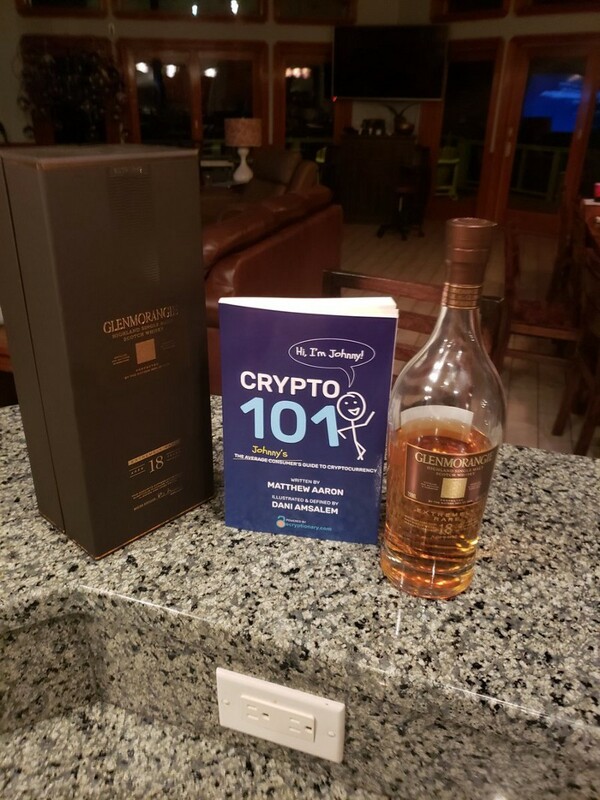 It makes most other cryptos obsolete. Many people think they know what Skycoin is all about but they’re barely scratching the surface. The whole crypto space has been sleeping on this project. Skycoin has a lot of partnerships with many organizations from Binance to UN. If your project gets “fudded” because your founder is always right and you are tying up top- of- the industry partnership, it shows you are in the right place. I am posting this video once again for discerning minds and potential investors. Professor Brunnhuber of the UN proposes directing 5 trillion dollars (with the help of all the central banks) directly into these SDGs with a parallel financial system enabled by blockchain. Supposedly for every dollar, you spend in SDG, the world as a whole generates a 7x return for the investment. Blockchain allows the UN (United Nations) to ensure that there will be no room for these funds to go towards corruptions. He stated that currently it is estimated 30% of all funds spent goes towards corruption. My question is how much is the total market capitalization of the whole Cryptocurrency market? Need I say more? Some people have hyped the Skycoin Project as leading into “Bitcoin 3.0”. The coin itself is not “Bitcoin 3.0”, but is rather “Bitcoin 1.0”. Bitcoin is a prototype crypto-coin. Skycoin was designed to be what Bitcoin would look like if it were built from scratch, to remedy the rough edges in the Bitcoin design. In conclusion, I will leave you in the words of Synth. He states “Skycoin will outcode, outmanage out-innovate all competition. 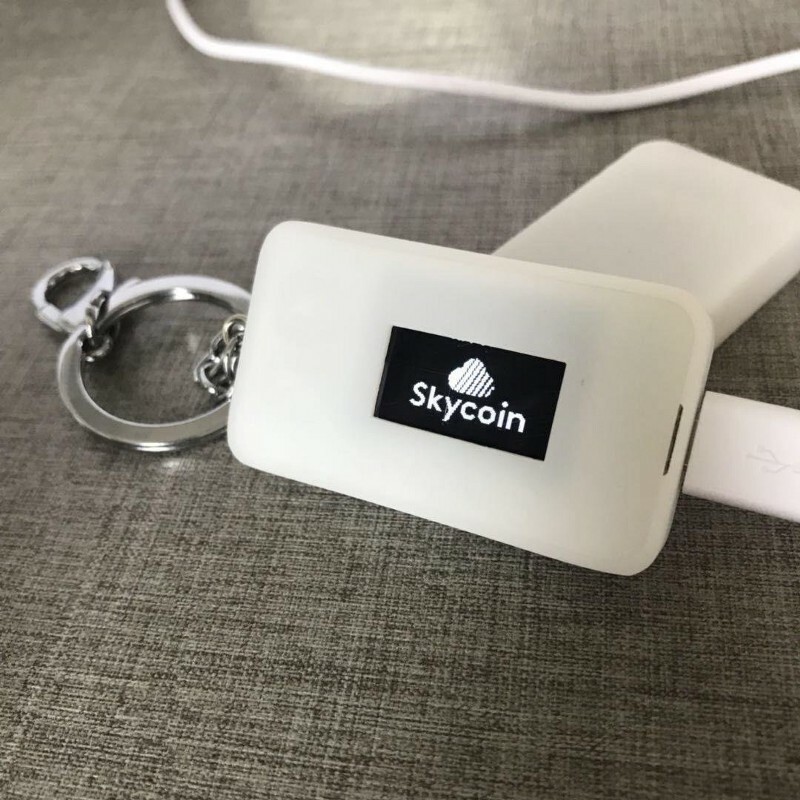 All innovation that is developed in any other coin will be incorporated into Skycoin before other coins even finish implementing their white papers“.